Welcome to a 360 degree connected services platform that offers you unmatched convenience and complete peace of mind. With a plethora of services at your disposal backed by human interaction at every touch point, Toyota Connect is your ideal companion. and install peace of mind. With exclusive operator service for a customized navigation experience, we're at the heart of it all. to your destination with utmost ease. which involves interacting with our executives to clarify your queries. Services like offline maps and live traffic updates with operator service ensure that we always have one eye on the road for you. in locating the Toyota dealer nearest to your current location. congestion-free route to your destination. 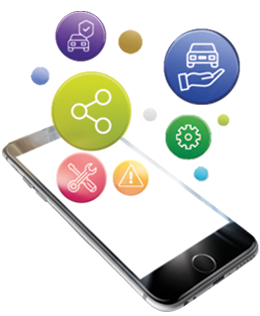 With integrated vehicle maintenance, handy do-it-yourself guides and complete vehicle information, you can be sure that this connected services platform has an intelligence of its own. vehicle maintenance is made extremely convenient. can be carried out by the user in case of an emergency. 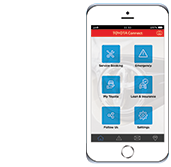 Our 24x7 location based road side assistance and a help desk for all app related support emphasizes our care for you at all times and at all places. we have your back at all times. you to have a hassle-free experience. Our list of features offered don't end here. We provide a myriad of other services that you can avail with Toyota Connect.